LA’s LIONE returns to Martin Garrix’s STMPD RCRDS after providing a superb remix of Garrix & Troye Sivan’s There For You a couple of months back. Once again he’s displayed the innovative sophistication that made that rework stand out as he starts to focus on his own original productions. 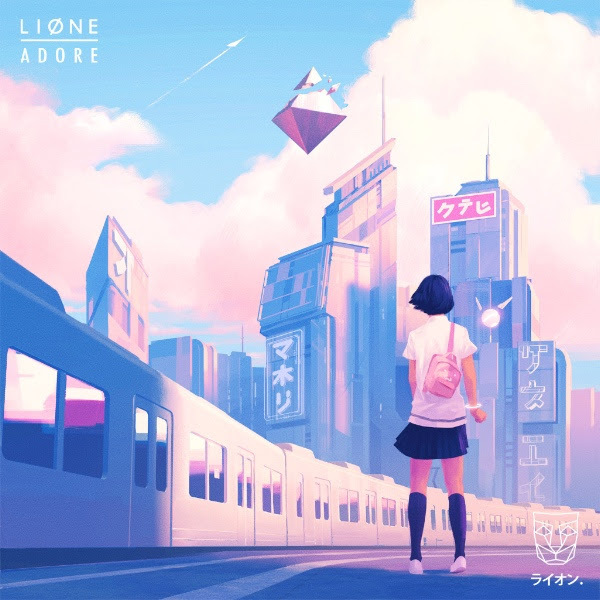 Overflowing with sweet euphoric vibes, Adore is one of LIONE’s typically colourful productions, bursting at the seams with life, energy and positivity. He’s packed a dizzying array of ideas and different sections into four ecstatic minutes, somehow managing to patch the whole thing together in a cohesive manner that doesn’t feel jarring. Warm, breezy synth chords and distant pitched-up vocals ease us in, with a shuffling breakbeat playing gently in the background before the up-tempo house beat drops in. The beautiful vocals are thickened up with pitch-dropped harmonies, and soon a pounding kick rhythm bursts into life with incredible feel-good synth chords and melodies. More cute melodies drift in before we head into the main build and next a commanding half-time beat that lets the synths breathe even more. Beautiful arpeggios top things off as the beat continues to morph and switch up. It’s a stunning composition which sets out LIONE as one of the most technically gifted and classy producers of his generation. Currently developing a full live set up with drums, keyboards and more, he will head out on tour in early 2018. He recently DJed at Anagrama and Hellow Festival in Mexico and at a headline show in Vancouver and supported huge names at sold-out shows in San Francisco and LA. And just to keep himself extra busy, he recently announced a soon-to-launch merch line. He’s only just getting started.